2. 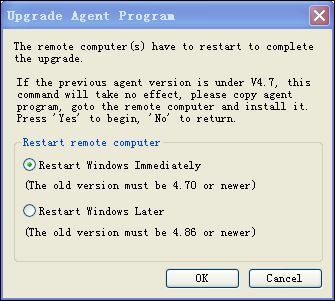 Click Agent Management -> Agent Management -> Upgrade Agent to upgrade agent remotely. 3. Following the instruction on the small window above. 4. Click OK to restart Windows.